When it comes to business travel, change is constant. The industry is evolving and travellers have more booking options than ever before. It can be challenging to track, contact and support your travellers – how does your business fare? With increasing booking options for travellers and constant change in the travel industry, it’s never been harder to stay in contact with and support every traveller when they're on the road. But it’s also never been more important. Predicting risk and protecting your employees when they travel is critical. 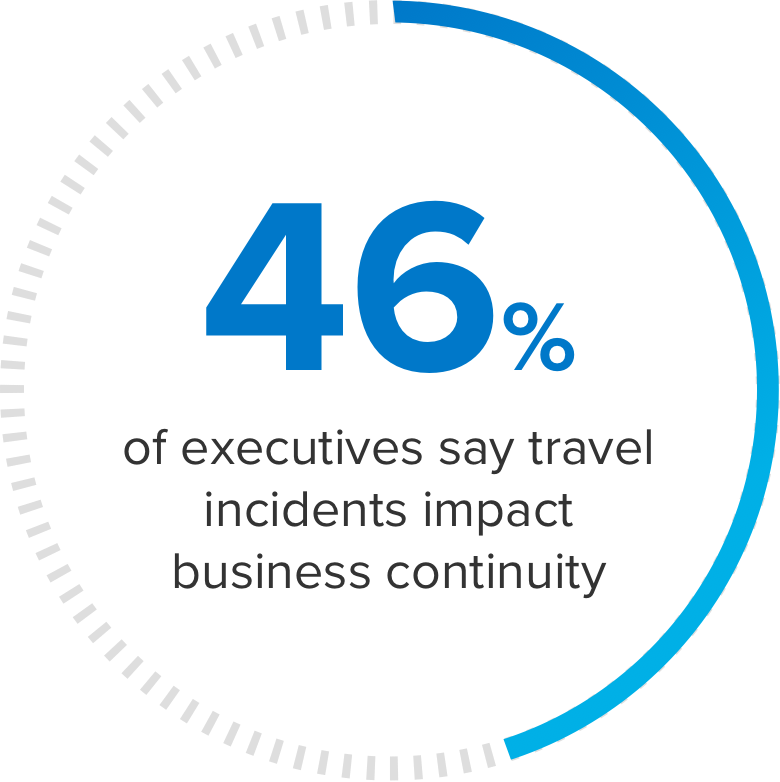 46% of executives say that health and security incidents impact business continuity (2017 Business Impact of Travel Risk), so you know it’s taking a toll. Take a few minutes to complete this quiz to see how your business is doing. Your results to share with others in your organization and access to premium content on travel risk management.